Media – Fredrick W. Baker III, Ph.D. I load a lot of pictures into my Flickr Photostream (usually on the go without much editing). I created a video overview on learning objectives for the faculty instructors in the New Teaching Institute using Camtasia Studio 8. I created some brief demo slideshows using iPhoto and iMovie. I found iMovie to be richer in features, but both to produce good slideshows. The website usacoe.net has links to a series of videos that I helped with. I didn’t edit the videos or design the site, but I was involved with video, staging, setup, interview, and design feedback throughout the entire process. 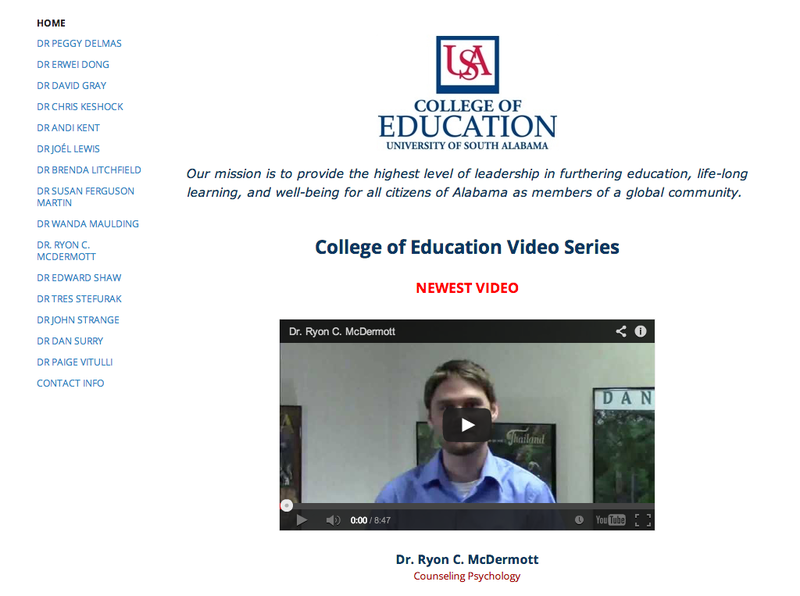 The videos are intended to highlight the faculty of the University of South Alabama College of Education in an informal manner, making them more accessible to students both online and on campus. These are three videos I made as part of my internship requirements for the doctoral internship in the Instructional Design & Development program at the University of South Alabama. The process included setting goals, doing a needs assessment, writing objectives, designing and developing the videos using a rapid prototyping model, and delivering the final product with successive formative evaluations done at each stage. The client loved the videos and the instruction has been receiving good reports on the results. Locating, logging in, and navigating your course. Accessing gradebook and submitting assignments. This is a video I made for National Teacher’s Day for the University of South Alabama to show appreciation for all of the teachers out there! The video project was overseen by Dan Surry and I did all of the video, staging, editing, etc. This is a video that we put together in an attempt to convey essential information on passing the CIS 150/250 classes to the students in an interesting way. It was a bit unusual relative to the other videos that we did, but it was also probably the most fun! The talent and creativity that everyone put into this project was great! I did videography, equipment, and helped with the storyboarding, and shot design and set-up. I did the camera work, shot capturing, audio, and lighting, and also helped with the storyboarding and interviewing for this eleader video on Camtasia Studio. I also helped originally source Dr. Aucoin for the Camtasia promotional videos. 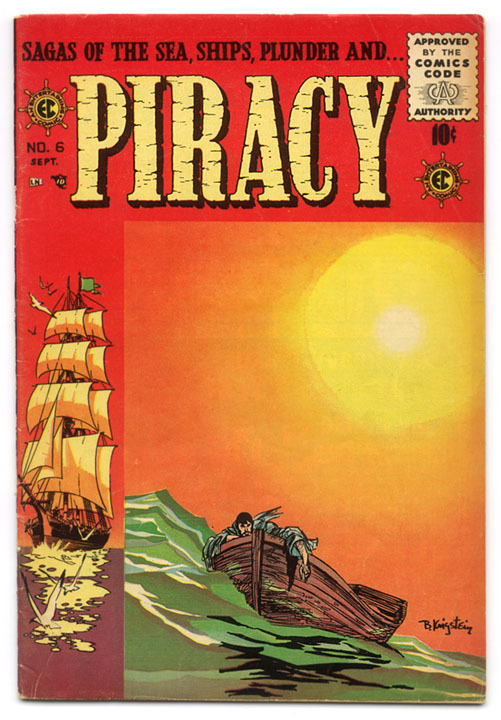 This is a public domain comic book cover that I animated using Photoshop. I learned of this as idea from an assignment in DS106, an open Digital Storytelling class. View the GIF and the Original. Here is another eLeader video for the Innovation in Learning Center. For this video I was only involved in video recording, interviewing, equipment management, and shot setup. The e-Leader Video Series highlights professors at the University of South Alabama who are using innovative practices in online teaching and learning. For this video, I was the camera operator, and helped with storyboarding, editing, interviewing, and equipment management. This video production is a product of my time at the Innovation in Learning Center. The University of South Alabama encourages its faculty to use Camtasia Relay for augmenting their lectures and courses. This video features instructors at the University of South Alabama discussing the use of Camtasia Relay as an instructional tool. In this informational marketing video, I had the primary role in storyboarding, filming, interviewing, editing, and producing. I also created the graphics for the video. The video was edited on Final Cut Pro v5 for the MacIntosh. This video is a product of my time at the Innovation in Learning Center.